Milwaukee Healthy Neighborhoods Initiative - Working with the Greater Milwaukee Foundation, Neighborhood Initiatives Development Corporation is promoting the Healthy Neighborhoods initiative. The approach focuses on a neighborhood’s positive attributes and works to engage neighbors and homeowners to invest in their neighborhoods and position them as good places to live. 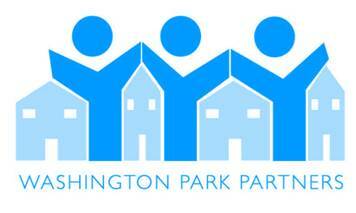 Washington Park Partners - The agencies and residents work together to resolve neighborhood problems in hopes of building a sustainable community. We are residents, businesses and organizations committed to the quality of life in the Washington Park Neighborhood of Milwaukee. Our targeted neighborhood is from 30th-47th and Meinecke to Juneau. Avenues West Association - Located just west of downtown, Avenues West serves a densely populated urban neighborhood. The 90 square blocks of the Avenues West neighborhood offer recreation, business, education and varied living opportunities to almost 30,000 people on a daily basis. Avenues West is bounded by I-43 on the east, 27th Street on the west, I-94 on the south and Highland Avenue on the north. Cold Spring Park Neighborhood Association - Establish CSP as a safe, fun & nurturing neighborhood to live, work, raise a family and attend school. "Preserving the past, while investing in the future." Historic Concordia Neighbors, Inc - Welcome to Milwaukee’s Historic Concordia neighborhood. This area’s rich history dates back to 1850 when settlers created large estates on what was then the Watertown Plank Road. Since then, this early Milwaukee suburb has attracted the rich and powerful of the Victorian Era who built spectacular homes and mansions. Most of these homes have survived over a hundred years intact. Today it is a vibrant and diverse neighborhood of caring individuals. Menomonee Valley Partners, Inc - For the past 10 years, MVP and its partners have been working to redevelop the Valley. The results to date are transformative and catalytic. The revitalization of the MenomoneeValley in the past decade has earned Milwaukee the reputation of a national leader in sustainable urban redevelopment. Sherman Park - is a community on the move. It is awake, vital, and eagerly pursuing the American Dream of a better life. 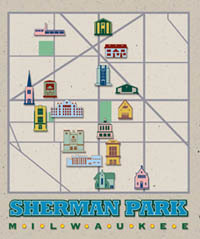 Take a closer look at what Sherman Park has to offer. It's a vibrant heritage with a focus on the future - a tomorrow filled with amenities and opprtunites for all. Story Hill Neighborhood - is one of the newer neighborhoods defined by the river. Perched on a bluff overlooking Miller Park, Story Hill lies at the geographic center of Milwaukee County; access in any direction is effortless. But the neighborhood is anything but a crossroads. Shaped by the valley throughout its history, Story Hill is a neighborhood that stands apart. Uptown Crossing Neighborhood Association - is a brand new sub-neighborhood association of the larger Sherman Park Community Association in Milwaukee, Wisconsin. Our goal is to help organize our little corner of Sherman Park to better meet the needs of our area as well as the larger association. Washington Heights Neighborhood Association - is a non-profit organization dedicated to improving quality of life, sense of community, and pride in our urban neighborhood. Walnut Way Conservation Corp - "Our mission is to sustain economically diverse and abundant communities through civic engagement, environmental stewardship, and creating venues for prosperity." Valley Park Civic Assosiation (Piggsville) - is an honest, straightforward community. It's not too complicated, but it has a rich tradition and strong sense of identity. Its river, its railroad, its houses, and above all, its people make it one of a kind in Milwaukee. 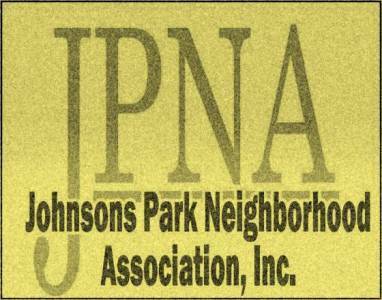 Johnson Park Neighborhood Association - was created as a result of the City of Milwaukee’s neighborhood revitalization program. We believe in creating and promoting a safe and friendly neighborhood. We will be proactive in improving the quality of life for all residents. 51st Street Block Watch - Welcome to the 2100 block of N. 51st Street, located in the historic Washington Heights Neighborhood. Our block watch started in early June 2010, as a way to connect with our neighbors and make our community a safe place to live. Bluemound Heights - is a residential area situated on the west side of Milwaukee, Wisconsin. The tree-lined streets are dotted with mostly single-family homes owned by young couples starting their families as well as long-time residents, many who have lived in Bluemound Heights their entire life. Located in Police District 3, neighbors work with district crime prevention officers to take a proactive approach to safety, as well as working with our elected representatives to maintain a high quality of life. 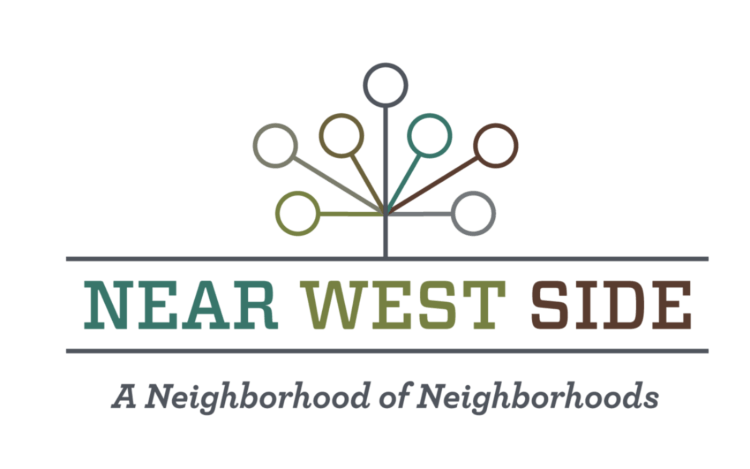 Near West Side Partners - To revitalize and sustain the Near West Side as a thriving business and residential corridor, through collaborative efforts to promote economic development, improved housing, unified neighborhood identity and branding, and greater safety for residents and businesses. 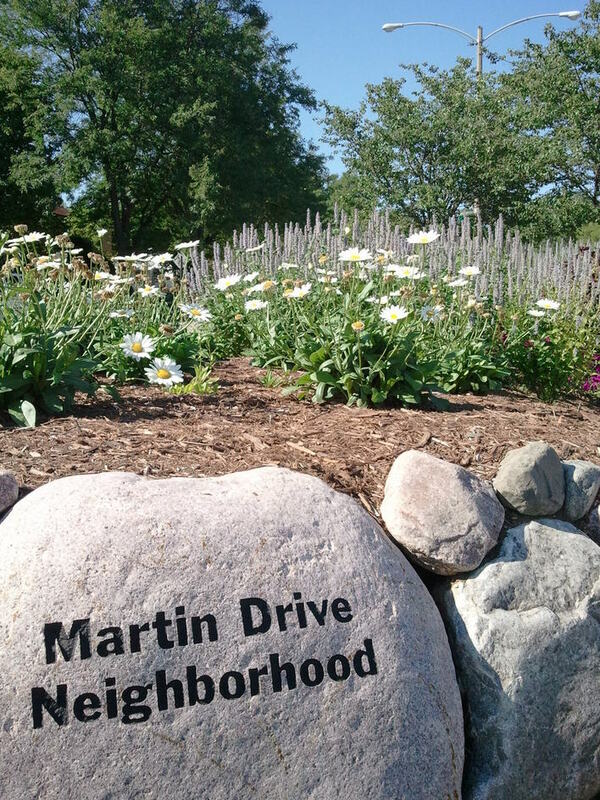 Neighbors collaborate with different community partners on projects to maintain and enhance the Martin Drive Neighborhood. It is these networking relationships that neighbors share and learn from each other, making Martin Drive a nice place to live.